On Monday, November 24th, the National Assembly of Republika Srpska was constituted and Nedeljko Cubrilovic from DNS was elected its President. In the shadow of the scandal of buying MPs before the constitutive session, the Prime Minister Željka Cvijanović was able to establish a small majority of 44 MPs from SNSD, DNS, SPRS, the Radical Party, the Progressive Party, together with two independent MPs: Ilije Stevančević and Vojin Mitrović. 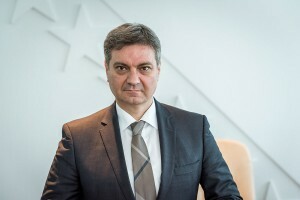 Vojin Mitrović got the mandate in the National Assembly as a candidate from NDP and later resigned from the party as well as from the Coalition for Change, and joined the SNSD majority. It was a striking example of irresponsibility towards the voters, where the candidate’s entire campaign was based on the criticism of SNSD and in the end, after winning voters’ trust, supporting the formation of the parliamentary majority. 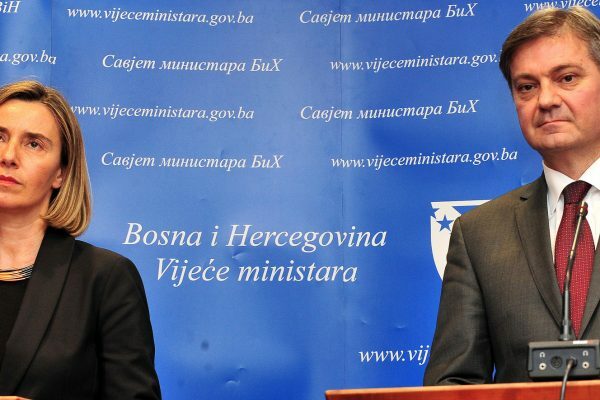 The President of Republika Srpska, Milorad Dodik, appointed Željka Cvijanović as Prime Minister, responsible for the composition of the new government. She now has a deadline of 40 days to establish the new government and its program. In the past four years, according to the results Istinomjer’s monitoring of the fulfillment of campaign promises, parties which now will be forming the Government of RS (SNSD, DNS and SPRS) fulfilled only 4% of what they promised, and it makes 16 out of total number of 447. Given that the three parties will be in the government again, Istinomjer prepared a brief overview of the promises these parties made ​​before this year’s elections. What is noticeable at first glance is the fact that there is a smaller number of promises than four years ago. This time it is 341 in total which makes it less by almost a hundred. DNS has given 214, SNSD 113 and the SPRS only 14 promises. SPRS is also known as the party which for the 2010 elections copied its program from the Socialist People’s Party of Montenegro. The largest number of promises was given in the field of economics, with the SNSD as the leader with 84 promises, of which 56 were given in the sub-area of agriculture. In opposition to what they promised in last elections, this time their program completely lacks of large projects in the sphere of energy and infrastructure. This party for almost two last mandates was promising major infrastructure projects such as the network of highways, power plants, or airports. And it’s very interesting how for this time they resigned from giving promises in those subfields. DNS, on the other side, gave 52 promises in the field of economy, with those relating to investment, energy, and market, financial and fiscal policy on the top. SPRS has few promises, with only four relating to the market, financial and fiscal policy, and industry, and two relating to privatization. In dealing with government administration, the three parties gave 57 promises in total. Most of them were given by DNS (43), and their program was much more extensive in comparison to the one from the previous mandate. 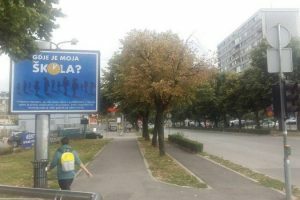 Similarly to four years ago, DNS put a lot of attention in preserving the position of Republika Srpska and its constitutional competencies, and there is about 10 promises from this sub-group in their program. The largest number of promises was relating to public administration and local self-government (32) and SNSD gave the most of them (10), combining it with two more promises concerning the constitutional order and making it ​​12 promises in total. SPRS gave only two promises; one relating to public administration and local self-government and one to the system of values. In the area of education parties gave 15 promises, 13 of which were given by DNS whereas SNSD and SPRS gave one each. Although DNS gave the largest number of promises from this area, most of them are just general promises like “application of laws in education” and “improving the financing system in education”. When it comes to the rule of law these parties gave 29 promises in total, 15 of which were given by DNS, 10 by SNSD and 4 by SPRS. Three of SNSD’s promises are related to judicature, while the other 7 promises are related to privatization and corruption. DNS had no promises which are related to reducing corruption, and their promises concern human rights (8), judicature (6) and security (1). SPRS made two promises relating to privatization and corruption and two relating to human rights. DNS is the leader in number of promises given in the area of social policies, with the largest number of promises concerning employment, war veterans and taking care of vulnerable groups. SNSD had only 6 promises in this category, all concerning employment, while SPRS made only one promise, concerning family, children and youth. In the area of foreign policy DNS and SPRS gave 11 promises combined. DNS gave 9 promises, 7 of which are related to EU and NATO. An interesting fact is that SNSD didn’t even mention foreign policy in their election program for 2014-2018 mandate. DNS is the only party that gave any promises concerning healthcare (8). Taking all of the above into account, we can conclude that of the three parties most likely to constitute the government of Republika Srpska, DNS was the most comprehensive and gave the largest number of promises, although their promises are not that specific, while the largest party in this entity (SNSD) significantly shortened their program. Almost half of their promises are about agriculture and from that fact we can draw a conclusion that agriculture will most likely be their focal point in the next mandate. SPRS certainly offered the worst program. After, in last elections, copying the program they didn’t make the effort have in the document called the program more than just 14 items, of which only one relates to the field of social policy, which is certainly not serious for the party with the name of Socialist Party of Republika Srpska.